Hello, and welcome to my Simon Says Stamp Christmas Week. 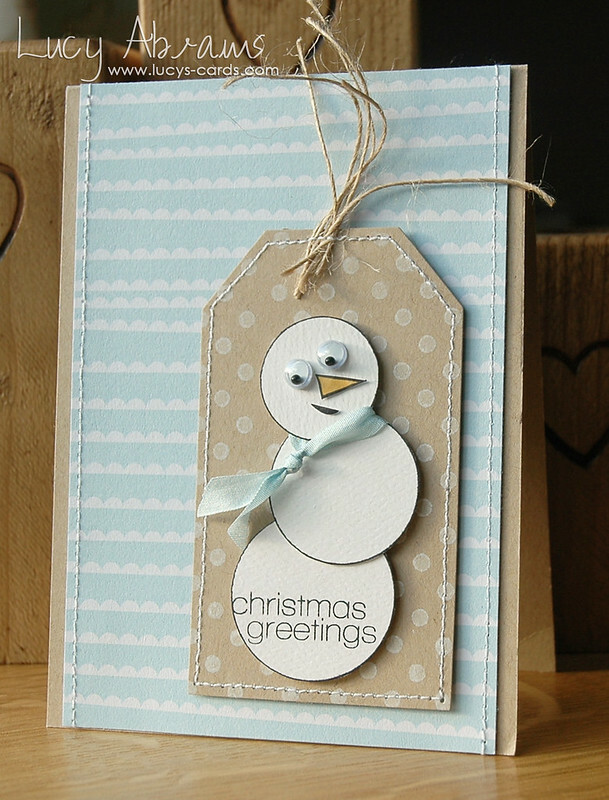 This week, I am going to share some cards I created with some of Simon's exclusive stamps and dies… and stay tuned. I may have a giveaway too later in the week! I created a snowy background for my tag with a stamp from the Nautical Borders set, and the sentiment is created by combining stamps from the Happy and Christmas stamp sets. Love that the fonts in all these little sets match up. And check all the rest out HERE at SSS. OK - so I'll be back tomorrow with my 2nd card. Oh, you are so clever, Lucy! What an adorable snowman! Fab card! Love the silly snowman. He's so CUTE@ Wonderful background and the stitching is fantastic. What a clever way to use the circle stamps! Adorable snowman thanks for showing. Lucy this is so so cute .I love the kraft/blue combo,works really well. super cute Lucy. Love the use of the scallops for your background. Love your wobbly snowman, Lucy! It looks just like one my kids would have made way back when. The color combo is fab, too! haha he's lovely. You know I really need to place an order!! 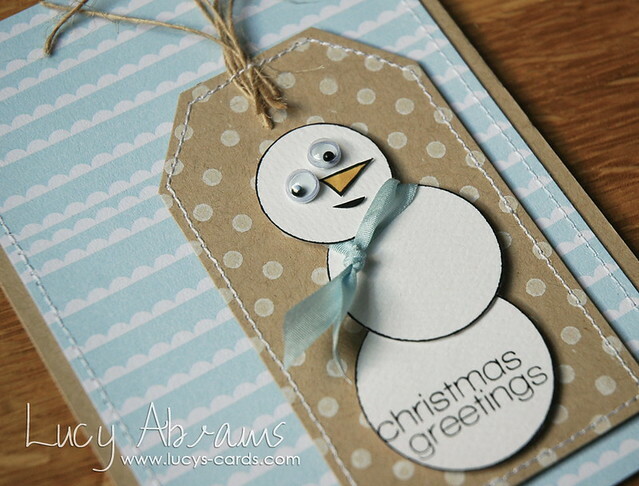 Love the snowman and the soft color palette!!! Love how wibbly he is! Just fab.